Close Stacking C-Hook available with optional padding for additional coil protection. Pivoting coil hook easy horizontal to vertical upending of coils. 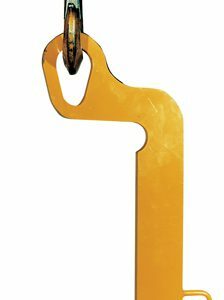 Slit Coil C-Hook designed for heavy duty applications.